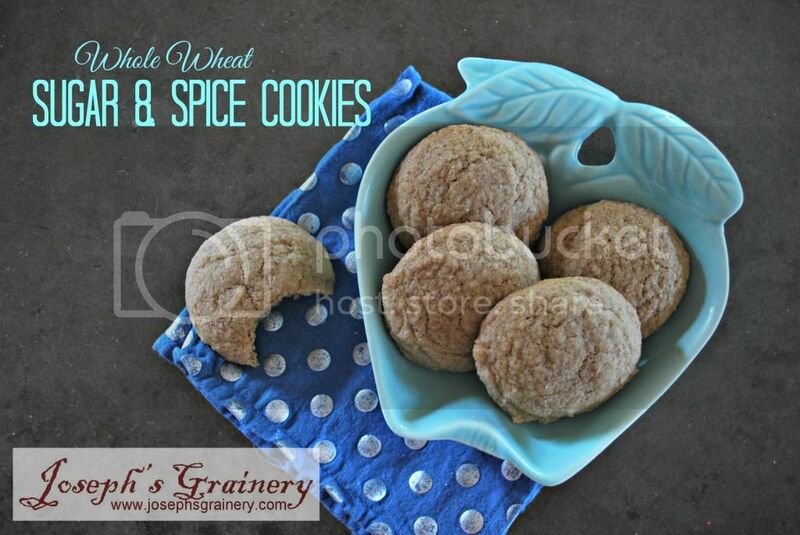 These Whole Wheat Sugar and Spice Cookies didn't last long around here. They were gone shortly after taking them out of the oven, talk about yummy! Imagine a sugar cookie with a bit of spice and a little orange zest...and whole wheat flour to make them halfway healthy. Directions: Preheat your oven to 375 degrees. In a large bowl, mix together the butter, milk, orange zest, vanilla, egg and sugar. Then gradually add the dry ingredients and mix until combined. In a separate, small bowl mix together 2 Tbs sugar and 1/2 tsp cinnamon for rolling the balls of cookie dough in. Place the sugar coated cookie balls on a prepared cookie sheet (sprayed with cooking spray) about 2 inches apart.